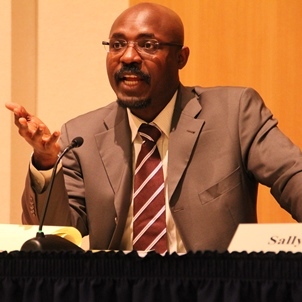 Remarks presented by Rafael Marques de Morais during the panel on “Perspectives on Transparency, Human Rights, and Civil Society in Angola“, on February 18, at the National Endowment for Democracy (NED), in Washington, DC. Last Friday, the General Assembly of the United Nations adopted a resolution paving the way for Angola to be promoted from a low to middle income country by 2020. This resolution is cause for celebration by the government, for it is an international endorsement of its stewardship of the country. From 2003 to 2013, the country’s oil revenues reached over US $450 billion, according to Angolan economic estimates, and for a decade it ranked among the ten fastest growing economies in the world. Meanwhile, the timing of the UN resolution seems to be a twist of irony for ordinary Angolan citizens. It comes at a time when the bust of the oil fueled economic boom is all too evident on the supermarket shelves, and poverty is on the rise. Food shortages are becoming severe in parts of the country, while in the capital retailers are imposing rationing of certain products. The informal exchange rate of the dollar, which sets the pace of the real economy, is five times higher than last year, while to the official exchange rate has increased by 60%. Another flag for the general public is the unprecedented downsizing of private-sector employees and the collapse of many private sector companies. Severe bank rationing of withdrawals to address the shortages of cash, and the crash of the real estate market are other signs, for the general population, that the country is in serious trouble. What the government did with all the money from the oil revenues remains a central question. A rapid calculation of the price tags of known national reconstruction projects do not amount to more than 10% of US $450 billion. Nevertheless, Angolans are now faced with a more pressing issue. The economy was anchored on one variable – the oil price. Its collapse caused a crisis in public finances, which has prompted the government’s disorientation in economic policies. Why? Let me share a reality check first. The state accounts for 2013 revealed that the treasury collected dividends equivalent to US $954,000 for all the direct shares owed by the state in a total of 37 public and private companies, apart from the National Oil Company Sonangol. According to the accounts, such profits came only from its shares in three breweries. Investments in banks, real estate, transports and other important sectors yielded no returns. From the investments the government has made abroad in 11 multinationals, including Chevron, British Petroleum, Abbot Laboratories and the Dow Chemical Company, the state accounts reported profits of US $110,000. These examples provide an indication that the government has been gambling on its luck. It cannot claim either that it made good investments with the oil money. Even the Sovereign Wealth Fund it set up as a safety net for times like this has simply become a presidential family affair. The inexperienced 36 year-old president’s son, José Filomeno dos Santos, runs it as his playground. What has become a norm of transparency in governance is the nepotism of the president in awarding critical public positions and contracts to his family. The most recent examples are the awarding to the first daugther, billionaire Isabel dos Santos, of the following: the US $15 billion Urban Redevelopment Master Plan for the capital city, Luanda; the Restructuring of the National Oil Company Sonangol; the Commission for the Restructuring of the Oil Sector; and, finally, a US $615,2 million contract for Luanda’s Southern Waterfront. It is what I call the transparency of looting. We are to expect nothing else as far as transparency is concerned under the current regime. In 2013, the Constitutional Court ruled that the Parliament has no legal power to have oversight of the government. “To have powers to call on members of the executive would be the same as having power to call on the president, who is the head of government, and that is unacceptable”, said the ruling. How can we talk about transparency without institutional checks and balances? In the eighties, under Marxism-Leninism, there was a common joke that if the government ever stopped providing the daily fix of Brazilian soap operas for the population, there would be a coup. The combination of repression with the politics of venality worked very well for the government and for the entertainment of the urban and peri-urban population. Nowadays, the venality of the leaders, who keep looting the country without mercy, has become a danger to themselves. The population does not find their venality amusing as it did with the Brazilian soap operas. Therefore, the regime has been undertaking preemptive measures to ensure its impunity. The worn-out strategy is to come up with conspiracy theories of preparations of acts of rebellion and coup plots. This tactic has three aims: First, in terms of propaganda, it turns the president’s liability for being in power for too long (36 years), into an asset by portraying him as a constant victim of conspirators. Second, it serves to justify the deployment of its security apparatus to crackdown on organized dissent; and, thirdly, to neutralize potential leaders who can mobilize anti-regime sentiment. Let us briefly, chronologically review three cases that have gripped the nation’s attention in the past year, as far as human rights are concerned. First, almost a year ago, in March, the authorities arrested activist Marcos Mavungo in the oil-rich exclave of Cabinda as he came out of Mass. He had called for protests against bad governance and human rights abuses in that province, which the government had already banned with stern threats. He is now serving a six-year prison sentence in the local penitentiary convicted of plotting a one-man rebellion against the democratically elected regime of President Dos Santos. More than half of Angola’s oil output is pumped from Cabinda. It also seemed to be ironic that this was the first province to experience panic, as the population rushed to shops to stock up as food shortages and other basic consumer goods became acute. Cabinda’s paradoxical situation is also an indictment of the corporate social responsibility of oil multinationals, which joined forces with the Angolan regime to maximize the extraction of the resources and cover up the abandonment of the government’s main premise, which is to serve the country and its people. Second, there was the massacre of the followers of the Light of the World sect, on April 16, 2015, by police and military forces. The government claimed that members of the sect killed nine police officers who attempted to arrest their leader in Mount Sumi, in the Central Highland province of Huambo. According to the deputy commander-general of the National Police, Commissar Paulo de Almeida, in reaction, the police killed 13 snipers “belonging to Kalupeteka’s guard, whose object was to neutralize and destabilize the operation.” Kalupeteka’s trial is still ongoing, and so far the government has not been able to show evidence in court implicating those snipers it killed. Nevertheless, even Kalupeteka’s eight grandchildren, aged one to seven, had been arrested along with their parents, including sons João and Julino Tito as well as their spouses, on May 10, 2015. “They [the police and security forces] mistreated us and kept calling us members of Boko Haram.” They had not been at the scene, and their crime was simply their kinship to Kalupeteka. His brother and some cousins were also booked as “terrorists”. Days ago I had a long conversation with João Kalupeteka, firstborn of the sect leader, who told me how after the massacre the police, in Mount Sumi, went on arresting and punishing any individual found wearing rubber boots and jackets, a common sort of dress code among local peasants, as members of the sect. “Lately, there were too many security agents infiltrated in the church who kept on spreading false rumours and prophecies about the end of the world as a smear campaign against my father and to destroy the sect, because it was growing very influential in the South, and out of the government’s control”, the son told me. Finally, the Luanda Book Club, the 15 activists who were arrested last June, while discussing books and manuals on non-violence at a bookstore Livraria Kiazele. It was no surprise that recently the Honorable Ambassador Luvualu, present on this panel today, publicly stated that the 15 youth activists were in league with NATO to cause the bombing of Angola by this international body or some of its member countries to overthrow president Dos Santos. Ambassador Luvualu’s announcement also provided a good illustration of how the aggressor would be the ultimate victim. Through protests, the youths would provoke the police into killing between 20 to 25 protesters, mainly women and children, which would prompt the international bombing. The formal charges were much more modest in the way the youths would overthrow the president. They would march to the presidential palace where they would burn tires to smoke out the incumbent. So far, the evidence exhibited in court, in the ongoing three month trial of the activists is impressive: an edited video in which two defendants are discussing how to react, through non-violent methods, if the police shot at protesters; a white board with the initials of the president’s name, JES, as evidence of the plot to assassinate him. Here, the authorities double-faced discourse is very clear. Wild conspiracies are simply for propaganda consumption; ridiculous charges are for the courts to justify the imprisonment of the activists. No need for coherence. In light of this brief narrative, there are three possibilities that might define the course of Angola within a short period: First, there might be a spike in oil prices, and the government will continue to run, through patronage, repression and luck. Second, a conversation on the need for a post-Dos Santos peaceful transition and democratic institution building will gain momentum, and the authorities will find a dignified solution through dialogue with other sectors of society. Third, we let the situation play itself out and until, to borrow the title of Chinua Achebe’s novel: things fall apart. The consequences of the last scenario would be unpredictable and tragic. Now, as I have learnt in DC, one has always to make a recommendation to the US government. There is a paucity of international engagement on the issue of human rights in Angola. Since the US is the country that pays the most attention to human rights issues in Angola, here is my recommendation: Support a national dialogue in Angola to address the current crisis. Ambassador Haskell’s presence here today is a good example of a simple but effective gesture that could be undertaken in Angola to start such a dialogue. Both ambassador Luvualu and I were looking forward to the day we would be arguing face to face. Now, I can challenge Ambassador Luvualu for us to discuss the same issues in Luanda at a forum sponsored by the Angolan government.